PORTLAND, OREGON, UNITED STATES, January 28, 2019 /EINPresswire.com/ -- The travel and tourism sector is today one of the world's largest industries with a total global direct, indirect, and induced economic contribution of more than $7.5 trillion annually. That's according to investment advisor and global traveler Douglas Greenberg, a sports fan and father of two from Portland, Oregon. "I've traveled all over the world," reveals Greenberg, "which has allowed me to indulge in many of my favorite activities, and for which I'm incredibly grateful." The Selkirks receive abundant dry snow, ideal for skiing, with Whitewater Ski Resort itself widely recognized for its steep runs. "Around 80 percent of the runs at Whitewater are considered either intermediate or advanced," points out Greenberg, himself an advanced skier. "The area really is truly breathtaking," he adds. According to Douglas Greenberg, who's also a keen boater, and who was raised in Dallas, Texas, the city of Nelson is located on the extreme West Arm of Kootenay Lake in the Southern Interior of British Columbia. "The area is renowned for both its skiing and sailing," he points out. Born in Texas before moving to Tustin in Southern California for high school, Greenberg is now a resident of Lake Oswego, Oregon. Greenberg's other recent travels have taken him and his family to Europe and Asia, with the Dallas native also having traveled extensively elsewhere across the globe throughout his life. 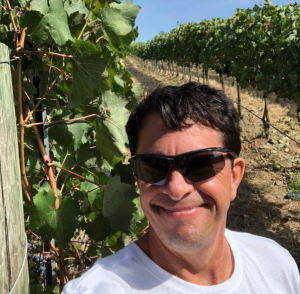 The advisor's other interests, he says, include watching live sports, hiking, visiting vineyards and wine tasting, plus snorkeling and scuba diving. "When I'm not traveling, I particularly enjoy getting outdoors with my wonderful dog Molly, hiking, boating, and enjoying the beautiful local scenery here in Lake Oswego, Oregon," adds the seasoned jet-setter and sports fan, wrapping up.